naijaleaguez.com.ng is a website dedicated to the Nigerian League: Nigeria Professional Football League (NPFL). 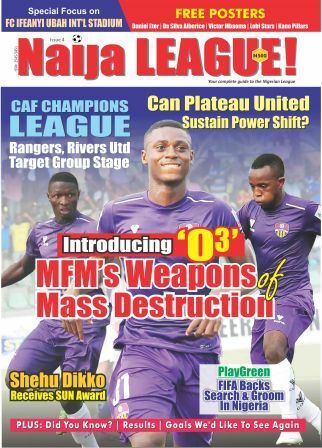 Football is a daily affair which explains the need for naijaleaguez.com.ng as online version of the monthly magazine: NAIJA LEAGUE! With our dedicated staff spread across cities where all 20 teams are domiciled, you’re assured of a robust coverage. Truth be told, Teams and Players make up the League. Consequently, our desire is to celebrate these players, who have been under-reported over the years. naijaleaguez.com.ng is passionate about delivering football news to the ever-increasing followers of the NPFL. In addition, focus will be on exports of the NPFL now playing across the globe. Our team, who write and produce naijaleaguez.com.ng are fans like the rest of us that simply love the game!